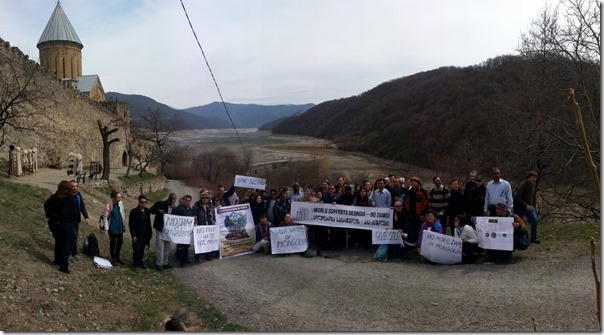 No Large Dams in Selenge Basin! 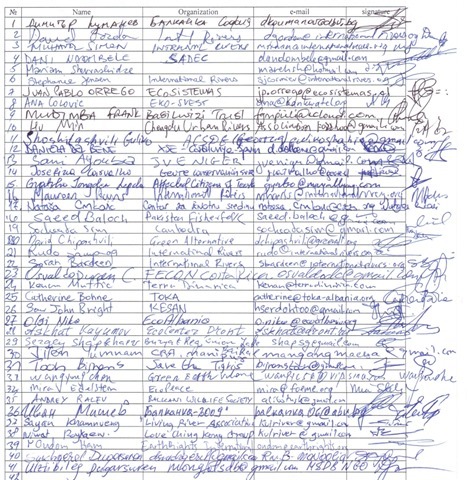 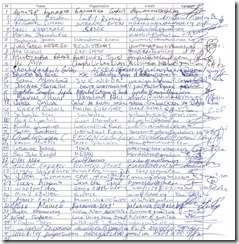 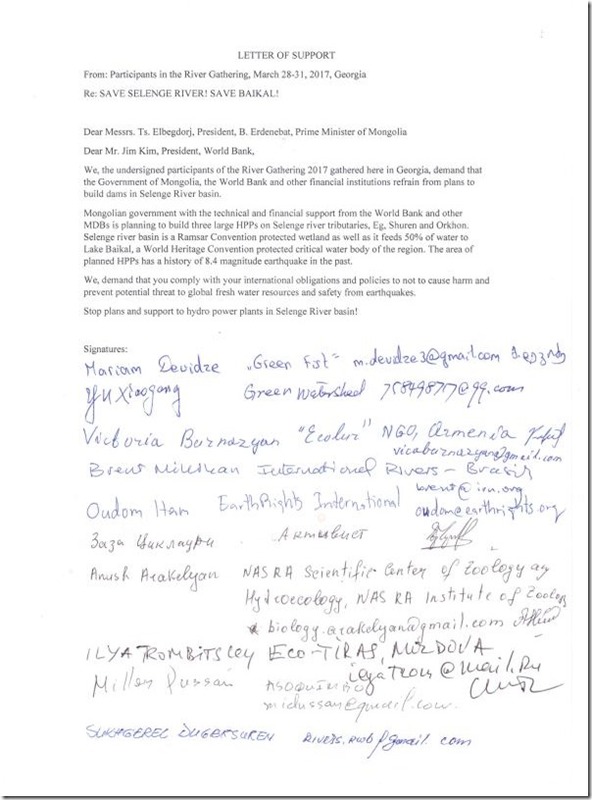 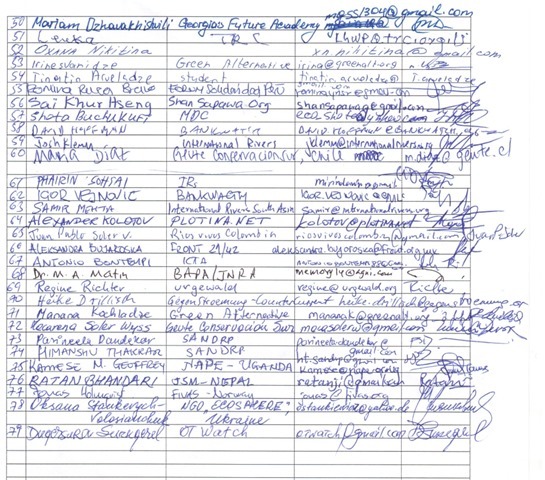 People from 30 countries who attended Rivergathering in Tbilisi , Georgia on March 28-31, 2017 signed a letter urging the leaders of Mongolia and the World Bank to refrain from plans to build dams in Selenge River Basin. 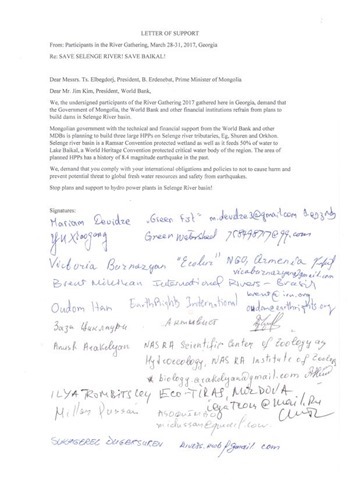 They demanded that the country and the WB do not violate international law and do not create new environmental and social risks.